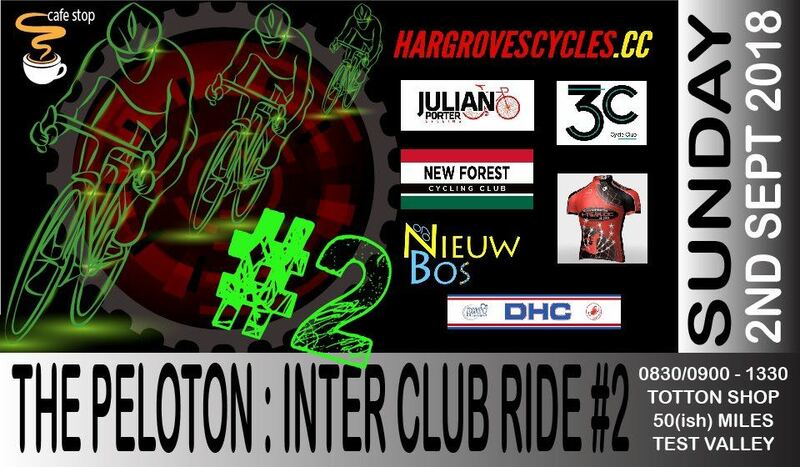 Hargroves Cycling Club have arranged yet another interclub group ride to get all the local clubs riding their bikes together. The last ride was very well organised and extremely well attended - this is not a ride to miss! The ride will be on the 2nd September and will start at 8:30 AM from the Hargroves shop for a ~50 mile ride, including a coffee stop. Further to the Incredible interest in the event I thought best to try and get a good count of people attending. Therefore I have had our club friend Steve Gordon set up a simple online registration form. It takes about 20 seconds to complete and just asks for name, email and club in drop down boxes. The event is all free and open to anyone even if your not members of the listed clubs. All info will be deleted after event. I just felt I need to collate numbers so I can forwarn the cafe and plan the route/ride groups.